JPD Travel can take the hassle out of your airport transfer by offering an outstanding service from the Bicester region to a variety of UK airports. Rather than having to pay expensive car parking fees or negotiate public transport, you can arrive for your flight feeling calm, relaxed, and in control. JPD Travel offer a complete service for citizens of Bicester to the following UK airports. If you’re looking for a Bicester to Heathrow taxi, then JPD Travel are the solution you have been looking for. The journey takes around 50 minutes if the M40 is flowing freely. London Heathrow is one of the largest airports in the world, and is a hub for connections to a huge variety of destinations, making it a popular choice for holidaymakers. Although known as “London Luton”, Luton Airport is slightly misnamed, as it’s not particularly close to London. Instead, it is located in Bedfordshire. If taking a Bicester to Luton taxi, you’ll need to be prepared for a journey time of around an hour and 10 minutes, so be sure to schedule to make sure you don’t miss your check-in time. London Gatwick is a large, international airport that is second only to Heathrow in terms of size in the UK. When taking a Bicester to Gatwick taxi, you’ll need to allow for a travel time of around an hour and a half. However, it’s a fairly nice trip, as the most common routes will whisk you through the Chiltern Hills Area of Natural Beauty! If you’re going to be taking a Bicester to Stansted taxi, you need to be prepared for a journey time of around an hour and 40 miles. It is also worth noting that the quickest route involves the use of the M25, so allow for a longer journey time if you’re going to be travelling during the peak rush hours. 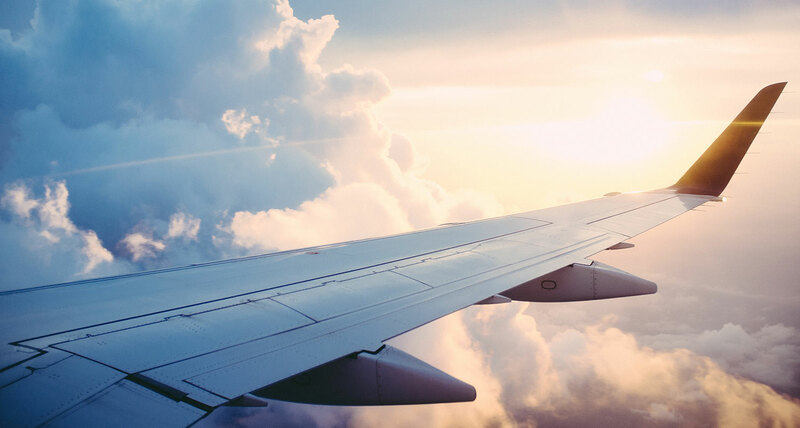 Birmingham Airport is a popular choice and offers flights to a variety of destinations around the world, and the airport is particularly convenient for residents of Bicester. When travelling in a Bicester to Birmingham taxi, you’ll be glad to know the journey time is usually less than an hour, so you’ll be at the terminal before you know it. East Midlands Airport, which is sometimes called “Robin Hood Airport”, is another international airport that is a popular choice for local residents. The length of a Bicester to East Midlands taxi journey is a little under an hour and a half, making this smaller airport more convenient than the larger “London” based airports. Southampton Airport is one of the smaller airports in the UK, but can still be a useful choice for holidaymakers. If taking a Bicester to Southampton Airport taxi, you’ll usually be able to travel from your home to the airport itself in under an hour and a half. Taking a Bicester to Manchester Airport taxi involves the longest journey for Bicester residents, but it’s a journey that JPD Travel can navigate with ease. The total time you’ll spend on the road is around two and a half hours, though you’ll likely want to set aside around three hours in case of traffic. There are numerous reasons why an airport taxi transfer is a great option when you’re flying abroad. Car parking at major airports is extremely expensive, especially if you are going to be away for a number of weeks. Airport transfers can be far more cost-efficient as a result. As well as car parking, driving to the airport yourself means you will have to pay fuel costs. This is particularly noticeable for distant airports. For example, driving to Manchester Airport from Bicester would be expensive in terms of both fuel and parking costs. Airport transfers ensure that your journey to the airport is as stress-free as possible. You’ll be collected from your home, and are able to relax on the drive. If you’re taking a very early flight, you’ll love being able to catch a quick nap on the way! Public transport can be used to make your way to the airport, but it’s unreliable and prone to issues. With something as time-sensitive as a flight (and with no guarantee of being able to obtain a refund if you miss your flight), it’s simpler and more reassuring to book an airport transfer taxi that takes you straight to the terminal in perfect time. JPD have an established reputation when it comes to making airport transfers for their customers. You can travel safe in the knowledge that you will be in good hands, who will go above and beyond to ensure that you arrive at your chosen airport right on time. JPD are based in Bicester, so we’re a convenient choice for Bicester residents, and choosing to travel with us allows you to show your support for a prominent local business. Our service is available to both personal and corporate customers. We’re happy to offer business accounts on request. We don’t charge extra for very early/very late transfer times. Whatever time your flight is, we’ll get you there for a fixed fee. We’re happy for our customers to drop off/pick up extra party members en route, allowing you maximum convenience if travelling in a group. If you’re travelling with a child, you can bring your own car seat. All JPD Travel cars have Isofix available, and we’re happy to hold onto your car seat while you’re away and bring it with us for the return journey. We do all we can to offer a simple, hassle-free airport transfer taxi service that allows you to start your trip in the most convenient way possible. If you’re looking for an airport transfer from Bicester, give us a call today! We’ll be more than happy to take your booking, or just to answer any questions that you have about our service. We look forward to hearing from you soon.